Amy and Sean are the kind of couple who you can’t help but Love. Gorgeous and incredibly smart, both with a wicked sense of humour. It was really hard to keep a straight face behind the lens with these two. Like us they both love the coast when it’s at its wildest. 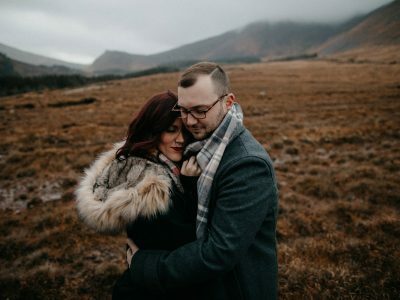 We had mentioned that we would love nothing more than to shoot in a raging winter storm and to our delight, Amy and Sean agreed! We met one evening as the sunset tried to set against an already heaving storm. Twenty minutes later we are all windblown and soaked, laughing with frozen noses. It was a blast. 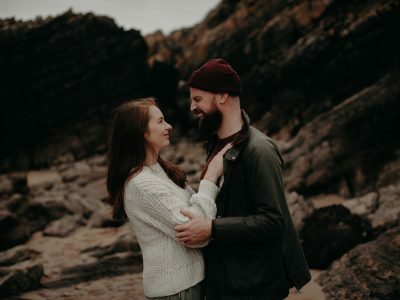 Thanks to Amy and Sean for trusting in us, we are so looking forward to capturing their story later in France this year… without the storms!!! Great Photos! What more can I say?